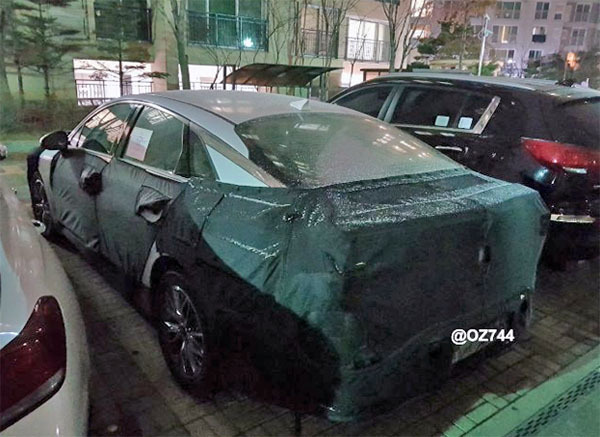 Another spy shot of the all-new 2020 Kia Optima. At first, I thought there was a really weird black trim around the rear window, where it meets the chrome line that runs along the roof. Otherwise, it already looks really stylish. And it is really new, unlike the 2020 Passat. It is great to see manufacturers still taking the mid-size sedan market seriously. These cars are getting to be excellent. And a sportier alternative the SUVs. It already looks stylish? WTF? That glass/trim/roof design is pretty unique. Looking forward to seeing the whole design. Wouldn't take much to give this a hatch option. Unfortunately, the generation before the current one set a ridiculously high bar for distinctive styling, and the one that followed barely retained the original style. This looks even further afield, but I'll reserve judgement until the final product rolls out. Well since the new Soul has been introduced with a floating roof design, seems to me the Optima will also. I think that is what the strange black trim is. Waiting for the new 4G Mazda 6 personally. If these manufacturers were in fact taking mid-sized sedans seriously they’d give them usable back seats that don’t require a contortionist to enter, and hatchbacks instead of narrow and useless trunk openings. As it is now, it’s no wonder sedan sales keep dropping.